Canadian National Railways 4411, Prince Rupert, December 1958. “tis the season,” and here we find CNR 4411 double headed with CNR 4408 and an unknown steam generator car and caboose, delivering Santa Clause to town. I was dumbfounded today to discover that I have a shot of the same locomotive, a continent apart, wearing her original number! What are the odds of THAT, when the two photos are one continent and two years apart! Now to be perfectly honest, I did NOT take this photograph of CNR 1735, apparently in Truro. The negative was in a group I had traded with someone in Nova Scotia, when we were living in Prince Rupert. 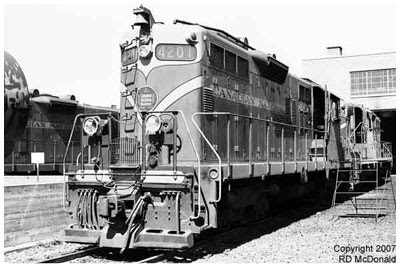 At any rate, this particular series of locomotives were built with Bloomberg trucks, and air reservoirs under the car body. 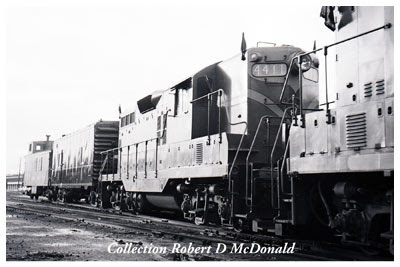 After all these years of fiddling around with this stuff, I made a startling discovery the other day, that the 4200 series GP9’s had their air reservoirs in the short nose, and those locomotives, with Flexicoil trucks and dinky fuel tanks, were correctly identified as GP9L’s – “L” for lightweight. Indeed the 700 mile long Prince Rupert Extension was considered a branch line, and the speed limit for passenger trains was 35 miles per hour! Well, I am loosing focus here. The point of this article is to show the CNR 1735 as built and originally numbered, and again as the CNR 4411, following renumbering in 1956. That means the photo of her as 1735 had to be taken in Truro shortly after she was built in 1955. If you look closely at the photo of CNR 4201, you can see the pipe on the roof running from the air compressor in the machine room to the short nose housing the reservoirs. Even when I was riding these units, I never realized this fact! Finally, I did find a shot of CN Slug 258 in Railpicturearchives, but it is marginal. 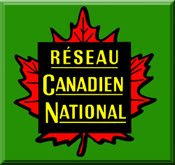 Railroad Stuff: Canadian National Railways 4411, nee 1735. Built by Electro Motive Division in London Ontario as a GP-9, 1,750 horsepower, March 1955, serial number A-654. Renumbered CNR 4411 in 1956, road class GR-17a. 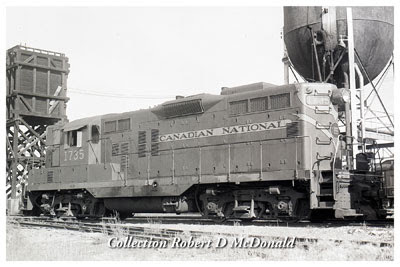 Pulled from service and sent to CNR Pointe Charles Shops in 1990, and rebuilt as CN Slug 258, road class GY-00F, commonly assigned in a “Mother Daughter” arrangement with a 72XX series GP-9. Post Script. Thank you all for the great comments I’ve received on the recent three part BC Rail series “Tacheeda, Bullmoose and Quintette” It was a challenge to research – nothing much written about the Tumbler Subdivision – and a lot of bogus information, like, the coal trains supplied a power plant. But some fine folk came through to provide photos and information. Thank you to them, as well.